We walked into Rawai Muay Thai January 5, 2018 with no Muay Thai experience and Andrew had set one extreme goal. 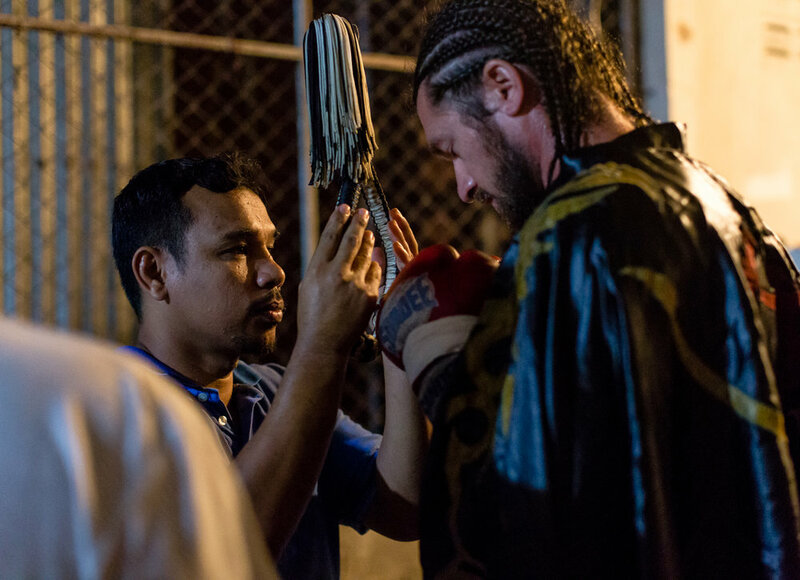 After completing just three months of training he would step in the ring for an authentic Muay Thai experience. Those three months quickly turned into six, each filled with group and private training sessions, Muay Thai fights most weekends, and supporting other students who had also chosen to step into the ring. We were seriously living and breathing Muay Thai every single day. Andrew was finally able to reach his goal June 29, 2018 at Khaolak Boxing Stadium. Losing by decision, he lasted all 5 rounds and demonstrated great heart in his first fight experience, fighting to the end even after a kick to the face and a couple elbows. It was an absolutely amazing experience for the both of us from beginning to end. 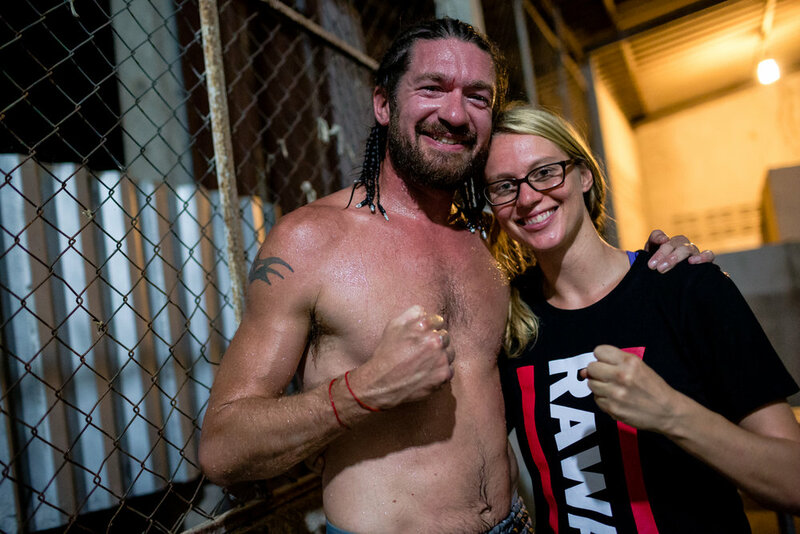 The incredible support team we had at Rawai Muay Thai made it a beyond memorable experience and we're so grateful for their dedication and confidence in us. Below you will find a visual story of fight night from my perspective. Beginning at locker room prep, where fighters filtered in and out, prepping right along side one another. Follow up to moments before Andrew gets in the ring and through his first fight with a ringside view. Watch the fight with us! View pre + post fight interview to hear about our experience. Send us your name and email so you never miss a post.